French ambassador to Uzbekistan Violaine de Villemeur has praised Uzbekistan for attracting tourists from France, Trend reports via Uzbek media. She stressed that France became the first country in Europe, for whose citizens Uzbekistan from October 5, 2018 abolished short-term visas for up to 30 days. The abolition of short-term visas is particularly effective as the number of direct flights between France and Uzbekistan doubled this winter. The ambassador specifically noted Bukhara, saying many residents from there, who work in the tourism sphere, speak french. 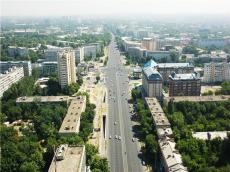 She noted that in recent months, French television channels showed several reports about Uzbekistan, including a story about the novel “Samarkand” by the French writer Amin Maalouf on the Franco-German television channel ARTE. "We are observing with interest the reforms in Uzbek tourism sphere, whether it is electronic registration or simplification of tourists stay. Our citizens speak very positively about the work of Tashkent International Airport: it is possible to pass control easily and quickly, despite the fact that it remains strict," she added. Violaine de Villemeur underlined that the visa-free regime greatly facilitates the work of business, expert, financial and investment circles.